The partnership seeks to prevent pediatric HIV infection and to eradicate pediatric AIDS through research, advocacy, and prevention and treatment programs. The Elizabeth Glaser Pediatric AIDS Foundation (EGPAF) is an internationally recognized leader in the fight against pediatric AIDS. Since its inception in 1998 as a U.S.– based non-profit 501(c)(3), EGPAF has been at the global forefront of the fight to prevent pediatric HIV infection and to eliminate pediatric AIDS through research, advocacy, and prevention, care, and treatment programs. EGPAF works in 15 countries around the world and collaborates with host governments, health facilities, non-governmental organizations and community-based organizations to halt the pandemic and help those already infected with HIV to lead healthier lives. EGPAF provides a full range of critical HIV services by increasing access to prevention of mother-to-child transmission (PMTCT) services, and care and treatment for children and families, linking services, and training leaders in advancing quality care. EGPAF places great emphasis on capacity building and technical assistance. 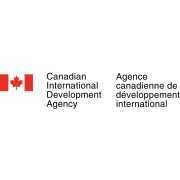 It assists international government partners to strengthen their country’s health systems and provide training to help ensure the effective sustainability of their prevention, care, and treatment programs. EGPAF has reached 20 million women with lifesaving services to prevent transmission of HIV to their babies. As of December 2013, EGPAF has tested nearly 16.6 million women for HIV. More than 1.32 million pregnant women and 893,000 children have been provided with antiretroviral (ARV) prophylaxis through EGPAF services. EGPAF's comprehensive approach includes prevention, diagnosis, and treatment of opportunistic infections such as pneumonia and tuberculosis. EGPAF is working to increase identification and care and treatment of young HIV-positive or HIV-exposed children and their mothers, through maternal, neonatal and child health (MNCH) clinics, general clinics, and inpatient wards. EGPAF is also implementing routine testing of children and/or mothers of unknown HIV status in well-child clinics and inpatient pediatric wards. 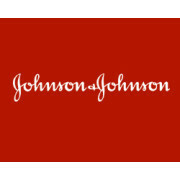 Boehringer Ingelheim, Johnson & Johnson, and ViiV Healthcare are major supporters of EGPAF and its work. With our headquarters in the UK, we have a wide geographical reach. We have offices in more than 115 countries, major research centres in the UK, USA, Spain, Belgium and China and an extensive manufacturing network with around 70 sites globally. 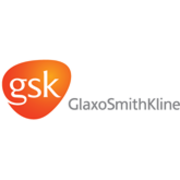 Research is vitally important to the success of our business, and we spent just under £4 billion in 2011 in our search to develop new medicines, vaccines and innovating consumer products. We are one of the few healthcare companies researching medicines and vaccines for the World Health Organisation’s three priority diseases - HIV/AIDS, tuberculosis and malaria. At Pfizer, they apply science and their global resources to bring therapies to people that extend and significantly improve their lives. They strive to set the standard for quality, safety and value in the discovery, development and manufacture of health care products. Their global portfolio includes medicines and vaccines as well as many of the world's best-known consumer health care products. Every day, Pfizer colleagues work across developed and emerging markets to advance wellness, prevention, treatments and cures that challenge the most feared diseases of their time. Consistent with their responsibility as one of the world's premier innovative biopharmaceutical companies, they collaborate with health care providers, governments and local communities to support and expand access to reliable, affordable health care around the world. For more than 150 years, Pfizer has worked to make a difference for all who rely on them. The Centers for Disease Control and Prevention (CDC) is the national public health institute of the United States. The CDC is a federal agency under the Department of Health and Human Services. CDC works 24/7 to keep America safe from health, safety and security threats, both foreign and domestic. Whether diseases start at home or abroad, are chronic or acute, curable or preventable, human error or deliberate attack, CDC fights it and supports communities and citizens to prevent it. CDC is the nation’s health protection agency - saving lives, protecting people from health threats, and saving money through prevention. It focuses its attention on infectious disease, food borne pathogens, environmental health, occupational safety and health, health promotion, injury prevention and educational activities. The CDC offers grants that help many organizations each year bring health, safety and awareness to surrounding communities throughout the entire United States. As a government-run department, the Centers for Disease Control and Prevention awards over 85 percent of its annual budget through these grants to accomplish its ultimate goal of disease control and quality health for all. Founded in 2002, Dimagi Inc. is an award-winning, socially conscious technology company that brings deep expertise in creating scalable ICT solutions for low-resource settings. A leader in open source technology, Dimagi has performed technical strategy, systems design, software development, and research for 130+ projects worldwide, and its core product suite is supporting thousands of Frontline Workers in over 30+ countries. Dimagi rapidly iterates and adapts its technologies to the local environment, creating appropriate, scalable, and sustinable solutions at a low-cost. Dimagi has a strong history of successful project execution acting as a technical lead partnered with an in-country implementation lead. This model has been successfully implemented for pilot-phase projects through enterprise-wide deployments with over 75 partners, including WHO, World Bank, USAID, CDC, World Vision, UNICEF, PATH, the Rockefeller Foundation, and Acumen Fund. In addition to our strong project implementation experience, Dimagi also has 10 years of experience participating in and leading research for healthcare delivery in underserved populations. 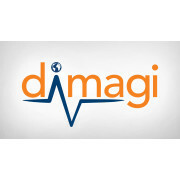 Dimagi's 70+ worldwide team members of engineers, physicians, public health professionals, data analysts, project managers, and field staff, are based in offices in Boston (headquarters), New Delhi, Cape Town, Maputo, and Dakar, with full time staff in Guatemala, Thailand, and Burkina Faso. -Serves more than 70 countries, including the U.S.
John Snow, Inc., and the nonprofit JSI Research & Training Institute, Inc., are public health management consulting and research organizations dedicated to improving the health of individuals and communities in the US and around the globe. JSI is deeply committed to improving the health of individuals and communities. They work in partnership with governments, organizations, and host-country experts to improve quality, access and equity of health systems. They collaborate with government agencies, the private sector, and local nonprofit and civil society organizations to achieve change in communities and health systems. Peace Corps is an independent U.S. government agency that provides trained Volunteers for countries requesting assistance around the world. ­ 1. Helping the people of interested countries in meeting their need for trained men and women. ­ 2. Helping promote a better understanding of Americans on the part of the peoples served. ­ 3. Helping promote a better understanding of other peoples on the part of Americans. The world has changed since 1961, and the Peace Corps has changed with it. With 8,655 Volunteers in 71 posts serving 77 countries, today's Peace Corps is more relevant than ever. While Volunteers continue to do important work like bringing clean water to communities and teaching children, today's Volunteers also work in areas like HIV/AIDS awareness, information technology, and business development. The Peace Corps will continue to address global needs as they arise. Thousands of Volunteers, for instance, now work on HIV/AIDS-related activities. As access to information technology has grown in the developing world, the Peace Corps has increased its Volunteer efforts in this field. 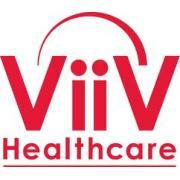 ViiV Healthcare was established in November 2009, combining the power and expertise in the management of HIV from both GSK and Pfizer. Shionogi joined ViiV Healthcare in 2012. HIV presents a serious global challenge. At ViiV Healthcare, we are using our commitment, expertise and passion to help meet this challenge. Their entrepreneurial attitude encourages us to be nimble and agile, so they can respond rapidly to changing healthcare and social needs for people living with HIV. 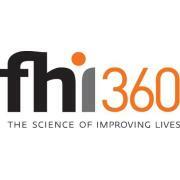 Their aim is to re-energise the pharmaceutical industry’s participation in HIV by getting closer to and understanding better the needs of those who live with the virus and those who treat them. Innovation in research and development (R&D) - ViiV Healthcare is structured to provide a more consistent flow of new medicines. They do this by tapping into the R&D expertise of not 1 but 2 drug discovery pipelines and actively seeking new business alliances. Access and care - Their royalty-free voluntary licence scheme and not-for-profit pricing underpin our commitment to supporting global access for people needing antiretroviral drugs. In addition, they actively support community initiatives in HIV, including the Positive Action programme, by partnering with like-minded organisations that share their ethos. They serve close to 100 million people in nearly 100 countries around the world. World Vision serves all people, regardless of religion, race, ethnicity, or gender. World Vision is a global organization with offices in approximately 100 countries. Their staff are experts in a broad range of technical specialties, ranging from hydrology to microenterprise development to public health. Of the more than 40,000 staff employed by World Vision, 97 percent work in their home countries or regions. Familiar with the culture and language, they bring to World Vision a deeply personal understanding of how best to assist local children and families. The millions of people they serve include earthquake and hurricane survivors, abandoned and exploited children, survivors of famine and civil war, refugees, and children and families in communities devastated by AIDS in Africa, Asia, and Latin America. 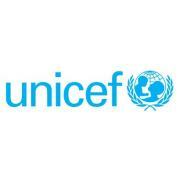 Their extensive global infrastructure enables them to respond where the need is greatest, anywhere in the world. World Vision does community development, disaster relief and advocacy. Transforming Communities. Because poverty has both local and global causes, World Vision works within communities and across geographical areas to help individuals and groups improve the well-being of children and overcome poverty. Responding to Disasters. World Vision is globally positioned to help with immediate needs like food, water and shelter when disaster strikes and to help communities to recover and prevent future catastrophes. Seeking Global Change. World Vision engages institutions, donors and the general public to address the global problems that perpetuate poverty. Advocacy staff empower communities to speak up for their rights, locally and globally.